I’m very happy to have another essay published in The Fortnightly Review. In “A Charming Sense of Novelty,” I discuss nobility and novelty via Prince William’s new haircut, cognitive types, and Samuel Johnson’s knack for ferocious argumentation. “I will be the first to admit that when I took on this challenge nearly four years ago, I underestimated the difficulty of transitioning an old and traditional institution into a digital media company in today’s quickly evolving climate,” Hughes wrote in an article that, oddly, was published on Medium rather than the New Republic’s web site. TNR’s problems have been largely being laid at Hughes’s doorstep. And, to some degree, that’s fair. Transitioning an old and traditional institution into a digital media company is hard, but it’s not as hard as Hughes made it look…. Hughes believed his charge was to make TNR a viable web publication, in a world where viability — and, arguably, influence — requires web traffic. That meant publishing more, publishing faster, and publishing the kinds of quick hits and aggregations that help build audience on the cheap. In a strange sentence on his Medium post, Hughes writes, “Even though our search for a workable business model has come up short, we have shown that digital journalism isn’t at odds with quality and depth.” But if digital journalism of quality and depth is at odds with a workable business model, then digital journalism of quality and depth won’t survive. Got Medieval: Why are books so big? (Google Penance). 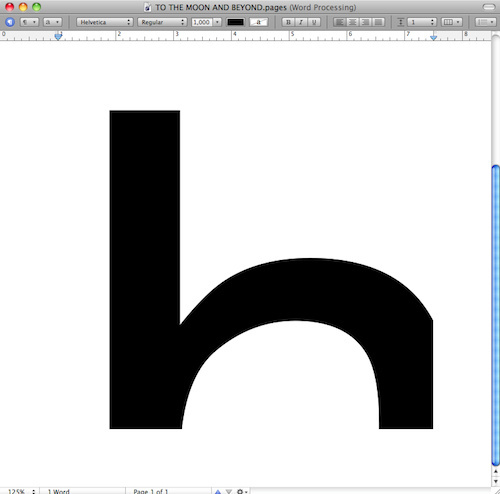 Set Your Font to 282,000,000,000 to Reach the Moon. 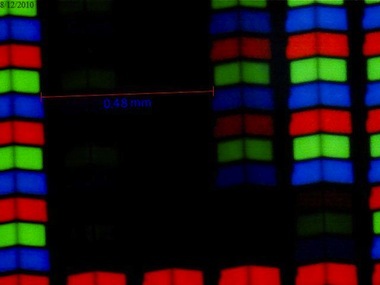 The Kindle and the iPad at 400x. 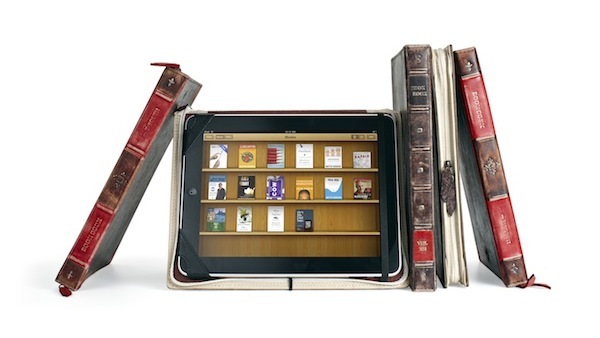 BookBook for iPad is Here | Design You Trust. 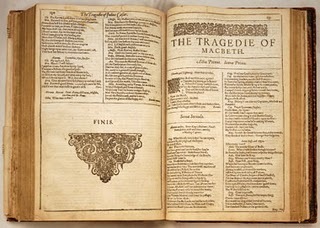 Baffled by wordy Shakespearen volumes? – Hindustan Times. 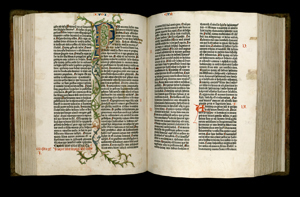 See full digitized version of the Gutenberg Bible | Cultural Compass. Fiction Writers Review » Blog Archive » I hope this submission leaves you in a condition of uncontrolled and irreversible “wow.”.